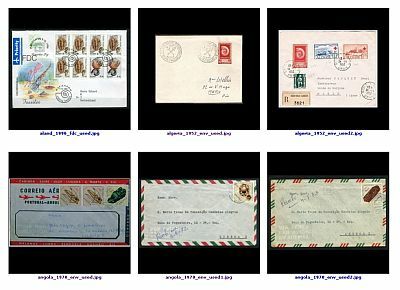 There are several pages on this web site with collection of images of various Philtelic objects related Paleoantology and Paleanthropology: official post stamps, First Day Covers (FDC), Commemorative Postmarks and meter franking, commercially used covers and postcards, etc. Note: The Galleries updated once a year, next time planned on January 2020. There are over 3.700 scan available in all 6 galleries (updated in January 2019). 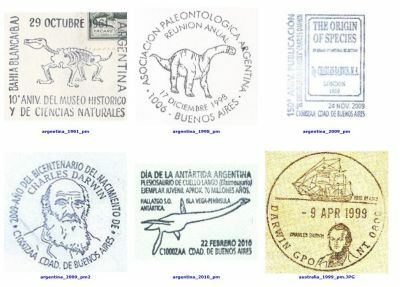 Gallery of Paleontology and Paleoanthropology related stamps. 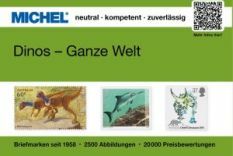 Here you can see over 880 images of official stamps depicted dinosaurs and other prehistoric animals, prehistoric plants, fossils, paleontologists and paleoanthropoligist. 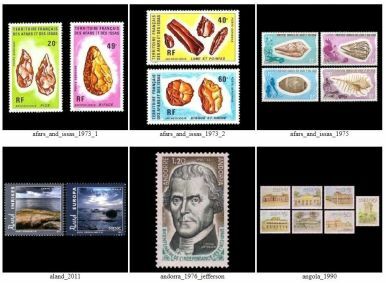 Gallery of stamps indirectly related Paleontology and Paleoanthropology sciences. 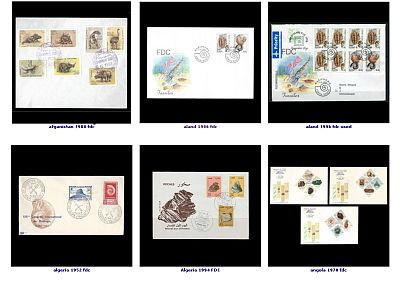 Here you can see over 250 images of official stamps depicted fossil found places, some fint tools, Natura History Museums, HMS Beagle used by Charles Darwin on his voyage around the world. Gallery of postal circulate covers and postcards with Paleontology and Paleoanthropology related stamps Here you can see almost 460 images of circulate covers and postcard with stamps depicted dinosaurs and other prehistoric animals, prehistoric plants, fossils, paleontologists and paleoanthropoligists as well as some contributors to Paleontology and Paleoanthropology since, Charles Darwin for example. Gallery of Paleontology and Paleanthropology related FDC covers. 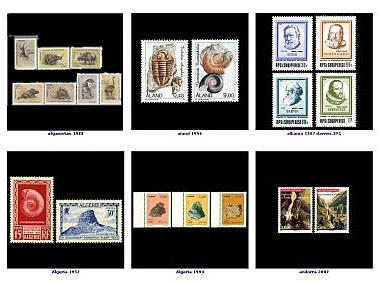 Here you can see almost 870 images of clean and postal used FDC with official and local stamps depicted dinosaurs and other prehistoric animals, prehistoric plants, fossils, paleontologists and paleoanthropoligists as well as some contributors to Paleontology and Paleoanthropology since, Charles Darwin for example. Gallery - of Paleontology and Paleanthropology related Commemorative Cancellations. 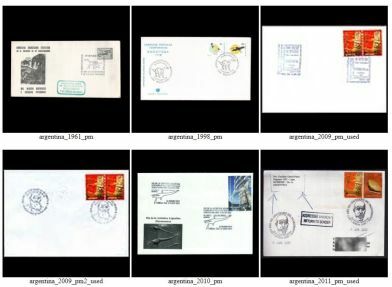 Here you can see almost 770 images of commemorative postmarks and meter franking depicted dinosaurs and other prehistoric animals, prehistoric plants, fossils, paleontologists and paleoanthropoligists, natural history museums as well as some contributors to Paleontology and Paleoanthroplogy science, Charles Darwin for example. Gallery - Used covers and postcards with Commemorative Cancellations related to Paleontology and Paleanthropology sciences Here you can see almost 500 images of used covers and postcards with commemorative postmarks and meter franking depicted dinosaurs and other prehistoric animals, prehistoric plants, fossils, paleontologists and paleoanthropoligists, natural history museums as well as some contributors to Paleontology and Paleoanthroplogy science, Charles Darwin for example.